It's been a good week to be a feminist. Presidential candidates on the left appear to be placing a firmer focus on maternity leave, and some heavy-hitting feminist superstars are getting in on the 2017 campaign action. The best feminist quotes of the week highlight all the ways rad women are working for a better, more informed future along with allies across the board. 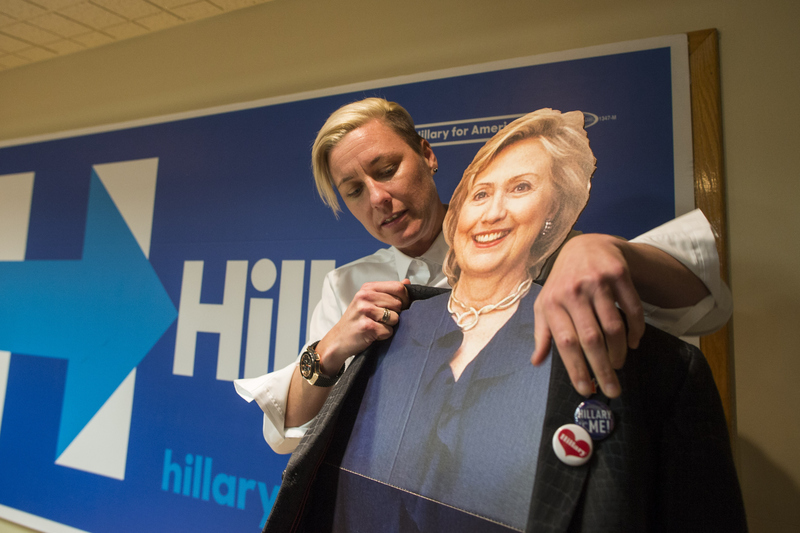 On Friday, soccer superstar Abby Wambach headed to New Hampshire with Girls creator Lena Dunham to do a bit of campaigning for Democratic front-runner Hillary Clinton. Wambach has been as vocal in her support of Clinton as she has on the importance of representation in the highest office in the land. I want to see Hillary Clinton in the office. She has amazing, amazing stamina. She's smart and she has been basically doing it by herself as a woman alone among all other men for how many years. It's time people. It's time for women to be seen as real equals. The elite athlete was similarly inspiring in her appearance at a Women for Hillary event in Portsmouth. So, too, are the stars and politicians who have made this week truly a standout week for equality. As women we don’t know we’re at a deficit because we have vaginas. It wasn’t until they had a headline like, 'Even though she’s a woman!' And I was like, 'Oh. I didn’t know to be looking out for that... How did I do it, getting a period once a month?... I had to go to my red tent in the desert and wait it out. I get a little bit tired of hearing my Republican colleagues talking about family values. They just love families but when a mom has a baby and is forced to go back to work after one or two weeks, apparently they don’t think that that is infringing on a family value.